Amazon is now association with Kitkat and offering Rs 25 & Rs 20 Amazon Gift voucher on purchase of Rs 25 or Rs 20 Kitkat Chocolate.! -> You can use this offer upto 3 Times. 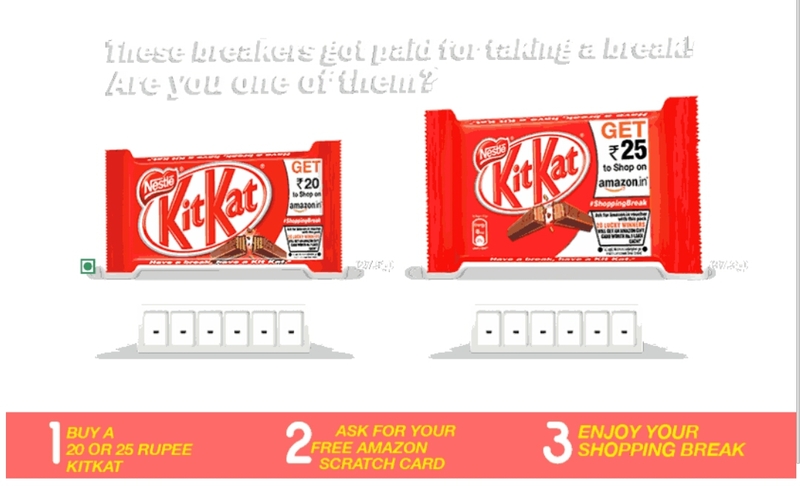 -> Kitkat Codes are valid till 31st December 2016.